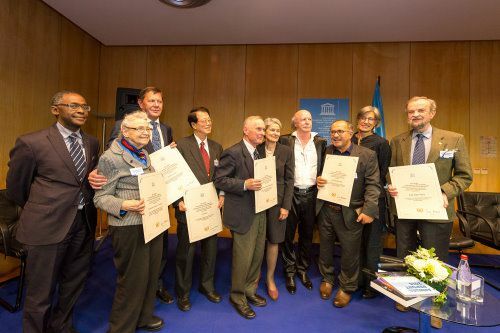 On 11 October 2016 UNESCO Director General Irina Bokova presents four eminent scientists and two institutions received the UNESCO Medals for Contributions to the Development of Nanoscience and Nanotechnologies during a ceremony held at UNESCO headquarters, Paris France. 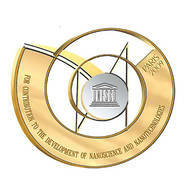 The medal is awarded each year by the Director-General of UNESCO to prominent scientists, public figures and organizations that contributed to the development of nanoscience and nanotechnologies in the spirit of UNESCO’s priorities. 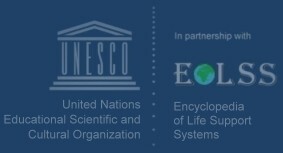 The Medal was established in 2010 at the initiative of the International Commission responsible for developing the Nanoscience and Nanotechnologies theme for the Encyclopedia of Life Support Systems (EOLSS). Since then, the Medal has been awarded to prominent scientists, institutions and public figures, such as Zhores Alferov, winner of the 2000 Nobel Prize in Physics, Isamu Akasaki, winner of the 2014 Nobel Prize in Physics, and Chunli Bai, President of the Chinese Academy of Sciences. For his outstanding contribution to the Encyclopaedia of Life Support Systems, the world’s most comprehensive knowledge base on sustainable development, bringing together 8,000 experts from 110 countries to create a unique virtual dynamic library, equivalent to approximately 600 printed volumes, evolving under the aegis of UNESCO for almost 20 years. Dr Al Gobaisi is Editor-in-Chief and co-Chairman of the Joint Committee with UNESCO. For the many scientific breakthroughs and technological advances, fuelled by MIT’s spirit of interdisciplinary exploration, in the field of nanosciences and nanotechnologies. MIT’s core mission is to advance knowledge and educate students in science and technology to best serve the scientific community and society in the 21st century. The Medal was accepted by Professor Mildred Dresselhaus, representing Professor Rafael Reif, President of MIT. For the establishment of one of the most important Innovation Technologies Centers in Saint Petersburg, along with two Business Incubators, to create synergies between the research, education and innovation activities – with nanoscience and nanotechnologies as a focus. The Medal was accepted by Professor Vladimir Vassiliev, Rector of the St Petersburg State University of Information Technologies, Mechanics and Optics, corresponding member of the Russian Academies of Science and of Education. For his research on liquid crystalline and poly-conjugated polymers and the materials science of DNA, about which he has published some 400 articles. Dr Jung-Il Jin is professor at Korea University in Seoul, former President of the International Union of Pure and Applied Chemistry, and Chairman of the Korean Federation of Science Culture and Education Societies. Professor Scott is referred to as “the father of integrated ferroelectrics” and he has been awarded the Gold Medal of the Materials Research Society ‘for fundamental contributions to the materials science of oxides underlying current and future electronic devices.’ He is the Director of Research at the Physics Department of Cambridge University, United Kingdom. For his work on surface physics, electron emission phenomena and nanoelectronics, about which he has authored more than 200 scientific publications, and monographs. Professor Naumovets is First Vice-President of the National Academy of Sciences of Ukraine and Chief Researcher at the Institute of Physics, and member of the European Academy of Science, Art and Literature of the United Kingdom Institute of Physics. "We are living in times of great change, when we must do everything to shape progress for the benefit of all – this calls for creating and sharing new knowledge and this is why your work, your engagement is so important" said Ms Irina Bokova, congratulating the recipients of the Medal. She also took this opportunity to thank the Russian Federation and in particular Magister Press and the St Petersburg State University of Information Technologies, Mechanics and Optics for sponsoring the Russian edition of the UNESCO Science Report, Towards 2030, which will be released in the coming months.